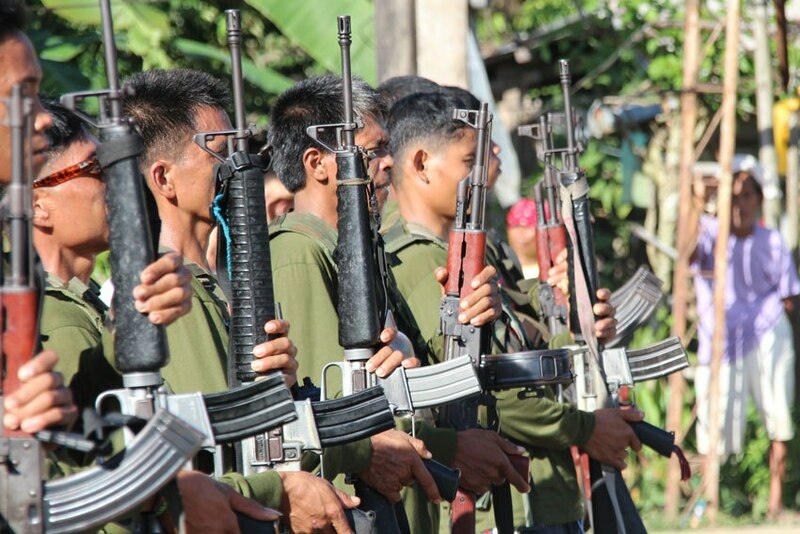 LUCENA CITY – Some 3,009 former New People’s Army rebels have been recipient of various forms of assistance from concerned government agencies through the implementation of the Enhanced Comprehensive Local Integration Program (E-CLIP) or Balik-Loob reintegration program of the government. This was learned from army Maj. Aristotle Antonio, head of Task Force Balik Loob who made a power point presentation last Friday at the Quezon Convention Center here during the Orientation for Barangay Local Chief Executives and other Concerned agencies on Drug Clearing, E-CLIP, Comprehensive Law on Firearms and Ammunition and Community Mobilization Program. The majority of the 1,242 barangay officials led by provincial federation president of barangay chairmen and ex-officio member of the Sangguniang Panglalawigan Ireneo Boongaling, Quezon police provincial head Senior Supt. Osmundo de Guzman and heads of various regional, provincial city and municipal government agencies attended the day-long event. E-CLIP provides a convergence of government assistance to the former rebels (FR) such as in security and safety, housing, skills and education, social and community, health, legal, livelihood and employment. According to Antonio, quoting data from the DILG which administers the program, a total of 655 former rebels have been provided with financial assistance with Regions 11, 13 and 12 having the most number of rebels as recipients with 180, 150 and 144 rebel-recipients; followed by Region 10 with 64 and region 5 with 57. Calabarzon region has 11 recipients while Mindoro, Marinduque, Romblon and Palawan and National Capital Regions have 3 rebel recipients. The NHA has released Certificate of Entitlement to 685 former rebels in Region XI; 958 have undergone Technical Education and Skills Development Authority skills training nationwide; 241 have been given business starter kits in Davao Oriental thru Dept. of Labor and Employment Integrated Livelihood program; Dept. Of Social Welfare and Development has provided transportation assistance to 33 FRs; family food packs for 385 and psychosocial processing (stress debriefing) for 5. Antonio told participants of the event that each former NPA rebel is worth P1 million assistance from the government so that the 241 rebels who surrendered to the government in Davao means P241 million has been allocated for them. He said a halfway house has been built and successfully operated in Davao Oriental for former rebels because of the support of the community. Antonio disclosed that the rebel surrenderees get staggered assistance from the government and 100 housing units are available for them this year each worth P450,000 while Payapa at Masaganang Pamayanan (PAMANA) of the Office of the Presidential Adviser on the Peace Process has P8 billion funds awaiting for various community projects. Antonio believes that the rebels usual reason for their willingness to get back to normal life is because of the family. “Bakit sila bumababa, dahil sa pamilya. Marami ang nasira ang pamilya dahil sa insurgency,” said Antonio adding that because of the government’s Balik-Loob program for the rebels their number has dwindled from a peak of 24,000 in the 80’s to some 3,000 at present. Under the program, the Dept. Of National Defense administers E-CLIP; Dept. Of Interior and Local Government oversees the financial assistance; OPAPP is in charge of the implementation of PAMANA projects in communities while the National Housing Authority is responsible for the provision of housing. Under the old CLIP of the government, former rebels get access to reintegration assistance of P21,000 , immediate assistance of P15,00; livelihood assistance of P50,000 and under the E-CLIP former rebels are beneficiaries of the following: government services, medical and legal assistance, housing, modified cash transfer, loans and market access, Alternative Learning System of DepEd; conditional transitional grant of P5,000; Payapa at Masaganang Pamayanan projects, college tuition and stipend. Task Force – Balik-Loob is composed of Usec. Reynaldo Mapagu as chair, DILG Usec. Bernardo Florece Jr., Usec Ronald Flores of OPPAP, Usec. Nelson Estares, GM Marcelino Escalada Jr., with partner agencies as DAR, DTI, TESDA, NHA among other agencies. It was on Sept. 2017 when Pres. Rodrigo Duterte issued a directive to craft a concrete program for former NPA rebels followed by Cabinet and inter-agency meetings in Nov. Until Jan. This year and in April Administrative Order No. 10 was issued. It was in July 2018 when the Implementing Rules and Regulations took effect and awarding of benefits under E-CLIP followed. Antonio said that the roles of the local government units in the E-CLIP program are the following: steers the implementation, create E-CLIP committee, enact local legislative measures for E-CLIP, assist AFP and PNP in providing security to the former rebels; facilitate employment of qualified FRs into government offices; request PAMANA projects in communities; and provide location and funding for the maintainance and operations of halfway house. The E-CLIP committee is tasked to ensure the convergent effort in the delivery of the identified services of the program; ensure proper documentation and referral of the needs of the FRs to appropriate agencies; facilitate the profiling of the FRs thru the local social Welfare and Development Office, among others.